House: Hugo Boss Year of Release: 1985 Gender: Masculine Michael Edwards Fragrance Classification: Crisp Aromatic Fougere (aromatic)Top Notes: Mandarin, Cardamom, Nutmeg, Pepper (black), Artemisia (Armoise), Basil, Coriander, Rosemary, JuniperberryHeart Notes: Iris (Orris), Jasmine, Lily of the Valley (Muguet), Rose, Sage, HoneyBase Notes: Cedarwood, Patchouli, Vetiver, Oakmoss, Cistus labdanum (Rockrose), Tobacco. The Hugo Boss Boss Number One 125ml EDT Men's Cologne was added to the Men's Cologne category in October 2016. 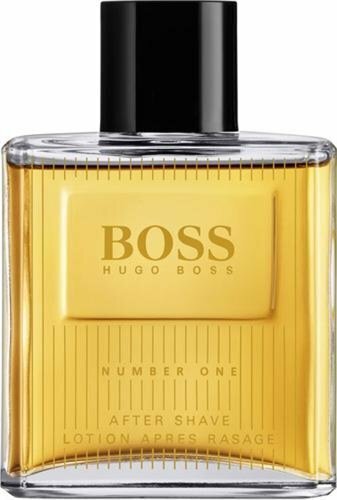 The lowest price GetPrice has found for the Hugo Boss Boss Number One 125ml EDT Men's Cologne in Australia is $45.90 from Price Rite Mart. Other merchants who stock it are Price Rite Mart, Web Scents.